IBM's Watson supercomputer has gained fame for its competitions against chess Grand Masters and ability to crunch vast amounts of data near-instantly. Now, Watson is set to lend its abilities to advance medical imaging, after IBM announced its acquisition of Merge Healthcare Inc., a company with access to over 30 billion patient X-rays, CT scans and MRIs. These resources will set up Watson Health, IBM's cloud-based health care computing system, to help providers more effectively diagnose and treat patients. According to The Wall Street Journal, IBM plans on using its newly acquired medical image library to "train" Watson through a process known as deep learning, which involves analyzing large amounts of data to uncover patterns. "What's happening is that scanning and imaging machines have gotten incredibly good. They are generating extremely dense images and images in motion in some cases," John Kelly, senior vice president for solutions and research at IBM. "Doctors are overwhelmed by the content of these images. Watson will help the doctor interpret and understand these complex images." 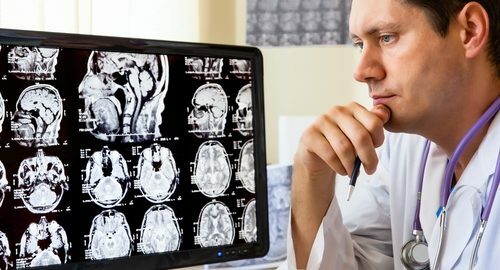 Dr. Elliot Siegel, professor and vice chair at University of Maryland School of Medicine, Department of Diagnostic Radiology and chief of radiology for the Veterans Affairs Maryland Healthcare System, explained that in the last 20 to 25 years the number of images radiologists have to deal with has gone up 100 fold. This means readers are increasingly turning to advanced software to make accurate and timely diagnoses. With today's CT images representing up to 10 gigabites of data each, these solutions need to be robust and powerful. Companies like NextBio (recently acquired by Illumina), Omicia, CollabRx, and Core Diagnostics have all invested significant resources into creating their own algorithms and analysis software, though these solutions are currently focused almost exclusively on oncology and genetic disorders. However, there are many regulatory and technical challenges that need to be considered before medical imaging algorithms see routine clinical use.